A special one-day summit in Brussels on Friday (23 February) of the 27 leaders without Britain is meant to be a key step in the roadmap to a leaner and more unified bloc after Britain leaves in just over a year. 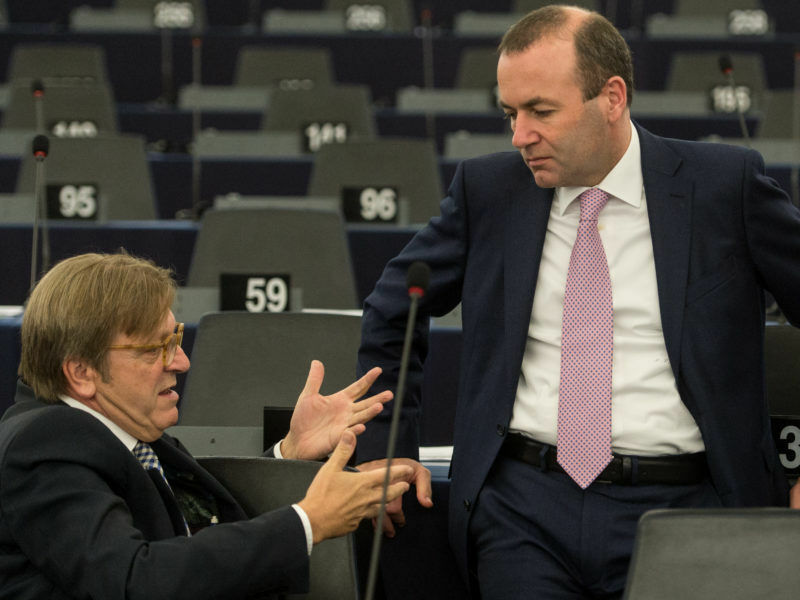 But cracks have already appeared between French President Emmanuel Macron, leading the charge for a reformed Europe, and Juncker with his federalist vision of how top EU officials should be chosen in future. 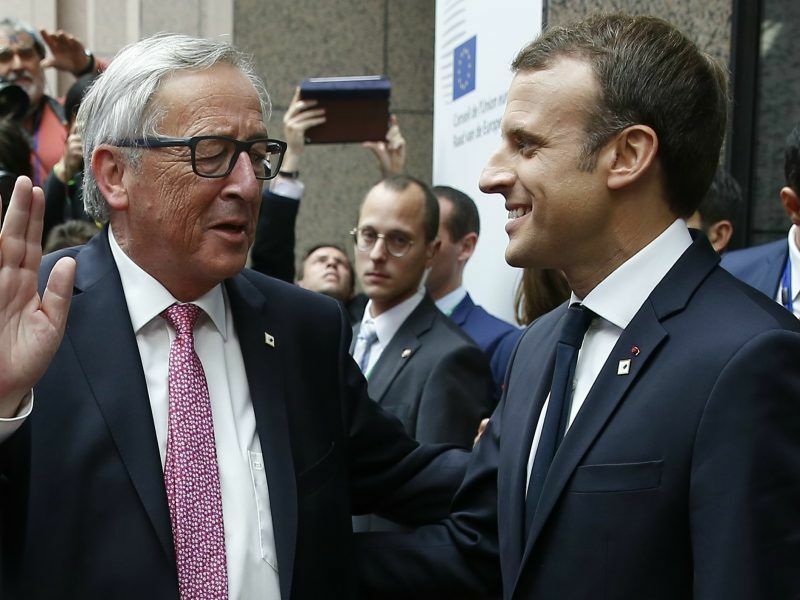 European Commission chief Jean-Claude Juncker chided French President Emmanuel Macron yesterday (14 February) for failing to form clear Europe-wide party political alliances, as manoeuvring warms up over next year’s EU parliament elections. Juncker was picked after European elections in 2014 by a controversial “Spitzenkandidat” system — German for “lead candidate” — under which the political group with the most votes gets to nominate its candidate for the job. 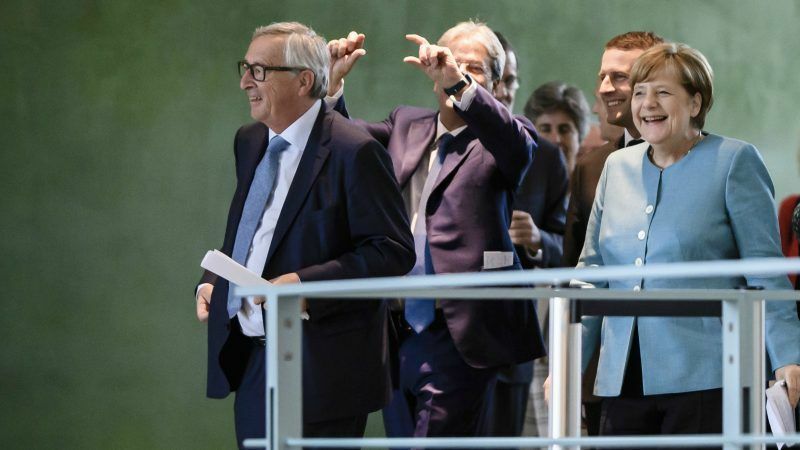 Both the European Parliament and Juncker back a repeat after the May 2019 European election, saying it gives the public a direct say in who heads the commission, the EU’s powerful executive arm. Macron this week slammed the Brussels establishment as ideologically incoherent and called for a “political revamp” to give the commission a clear mandate, defined by the national leaders. Juncker however said earlier this week that the Spitzenkandidat system was “completely logical”. He also called for the commission chief’s job to be merged with Tusk’s. Filling the hole that Brexit leaves in the EU’s multi-year budget from 2020 threatens to open up even deeper divisions — but this time between member states themselves. Tusk will ask the leaders at the summit whether they want to increase the budget, decrease it or keep it the same, sources said. 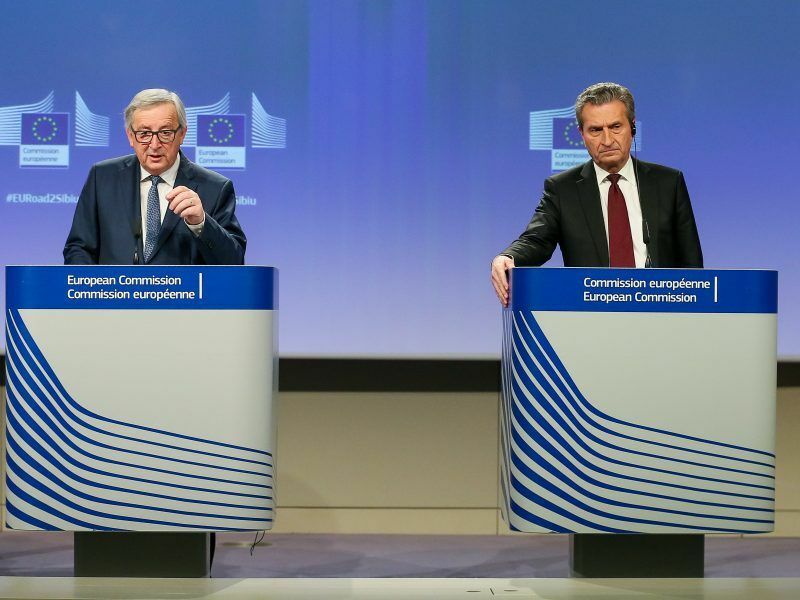 EU Budget Commissioner Guenther Oettinger has said that Britain’s exit could leave a hole of as much as between €12 and 15 billion and suggested that contributions be increased to between 1.1% and 1.2% of GDP from the current level of one percent of GDP in the 2014-2020 budget. Warnings by Oettinger of cuts on agriculture — a bugbear for France — and “cohesion funds” that benefit poorer eastern European states are also likely to go down badly. But there is little appetite for suggestions that the EU could try to bring countries like Poland and Hungary into line on issues including the rule of law and migration by making cohesion funds “conditional” on good behaviour. The European Commission’s proposal to link EU budget funds to the rule of law was seen as putting Brussels on a collision course with Poland. Jean-Claude Juncker recognised that there is a chance for rapprochement in the dispute with Warsaw. EURACTIV Poland reports. It is completely unreasonable, yet the UK is doing it, to expect the EU to come out with their proposals for a future relationship, but not the UK.